We work in partnership with Uinsure whose policy has been awarded a maximum 5 Star Rating by independent experts Defaqto so you have total reassurance you are buying quality cover. Save time comparing the features and benefits as we provide you a free, no obligation review of your home insurance to ensure you get the insurance you require, at the right price. All of the high street insurers share a common policy wording and compete purely on price. Obtain a quote in 30 seconds by calling us today on 0800 098 7050 or obtain a quote online by clicking here and compare against your current policy. Included as standard within contents insurance is accidental breakage to television sets, satellite receivers or decoders, radios, audio equipment, video-recording equipment, DVD players and games consoles capable of playing DVDs or desktop personal computers. Cover is also provided for fixed glass in furniture (but not glass in pictures or clocks) and ceramic hobs in free-standing cookers. Available as an optional extra is Accidental damage cover. This covers unexpected and unintended damage caused by something sudden and external. Accidental damage would be required in order to claim for events that are not covered under the accidental breakage benefit. An example of this would be spilling wine on a carpet where purchasing accidental damage would be required to make a claim. If you want to insure everyday items you take outside like mobile phones, watches, jewellery, laptops or pedal cycles you need to add personal belongings cover. Items worth over £2,000 (or pedal cycles over £1,000) need to be individually listed. Cover for specified personal belongings is available up to £15,000. 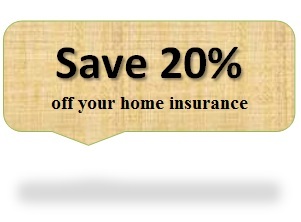 The Home Emergency Cover product assists you with everyday home emergencies. You contact the Home Emergency team who will then source a tradesman on your behalf from a database of tradespeople, and arrange for them to call. Uinsure regularly monitor the tradesmen on their database which means that you can rest assured that any work to your property will be carried out to the highest quality. • Burst pipes or sudden leakage likely to cause damage to the Home or its contents. • Accidental Damage, Break-in or Vandalism to external locks, doors or windows which compromises the security of the Home. • Pest Infestation. Removal of wasp nests, field and house mice and brown rats within the home. • Failure of your domestic water mains supply, gas supply, electricity, blockage or breaking or flooding of drains or sewers, or failure of your domestic hot water heating that is likely to cause internal water damage. • A leakage caused by a smashed toilet bowl or cistern. Breakage of the cistern internal mechanism which prevents flushing and creates an emergency if there is no other toilet in the home. • Lost Key where the only available Key to the Home has been lost, in order to gain normal access to the home. Uinsure’s Family Legal Protection policy is designed to help customers through difficult and often stressful legal situations by providing them with financial support and a 24-hour legal advice Helpline. The policy also provides access to discounted uninsured legal services such as wills and conveyancing. By simply adding Legal Protection to the existing household policy gives you peace of mind knowing that if a legal problem occurs, panel solicitors will support you through the process by giving expert assistance on the best way to resolve your claim. • The walls of your property are built from brick (which includes brick clad with timber frame properties built from 1980 onwards), stone or concrete (excluding prefabricated concrete). • The roof of your property is built from slate or tiles. • The roof of your property is no more than 30% flat. • The property to be insured is not registered as a listed building. • The property is permanently occupied by only you and your family. • The property is not to be used for business or professional purposes, other than clerical work undertaken by you and your family. • There must be no customers or suppliers calling at your property and there must be no storage of trade goods, other than stationary for your own use. • The property is not left unoccupied for more than 60 consecutive days. • Your property will be maintained in a good state of repair. • Your property is not undergoing any building work. • The property has not shown any signs of subsidence, heave or landslip within the last 25 years. (Cracks and bulges in the walls can be signs of subsidence). • To the best of your knowledge the property has no history of flooding. • You have never undertaken preventative measures to limit flooding. • You and anyone residing at your property have not had special terms imposed by your insurer, or had insurance declined, cancelled, refused or declared void. • During the last 3 years, at your current or any previous address, you and anyone residing at your property have not had more than one household (buildings or contents or personal belongings) loss or claim. • During the last 3 years, at your current or any previous address, you and anyone residing at your property have not had more than one household (buildings or contents or personal belongings) loss or claim costing more than £3,000. • You and anyone residing at your property have not been convicted or charged for any offence or have any prosecution pending (other than a motoring offence).